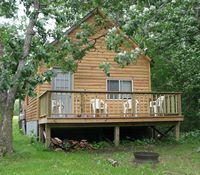 Our Lakeview Cabins on Lake of the Woods Ontario Canada make great Vacaton Cabins, Fishing Cabins, Hunting Cabins, Family Vacation Cabins and Bird Watching & Ecotourism Cabin Rentals. 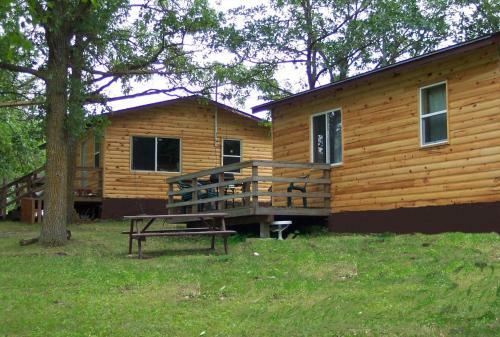 Although our modern Ontario cabins are fully Housekeeping capable, you may order meals that are served in the lodge. 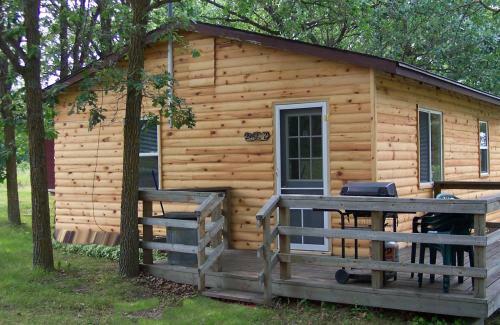 Our Lake of the Woods lakeview cabins have Wi-Fi INTERNET, HD Satellite TV and Air Conditioning for the summer, as well as heaters for fall & early spring. 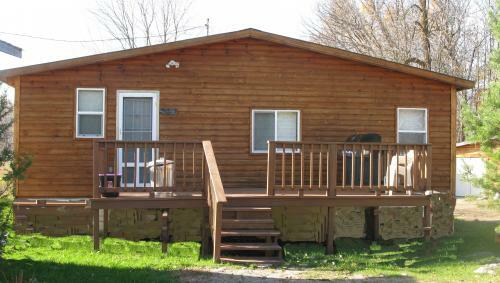 All of our cabins are warm and comfortable for 3 season use. 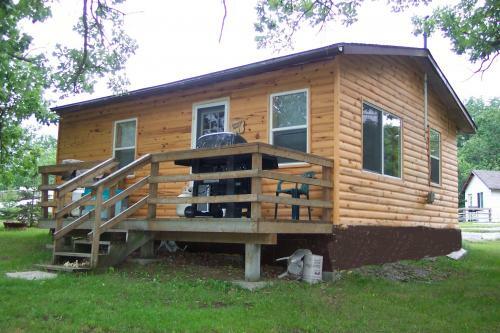 Bring your own boat while enjoying your Lake of the Woods cabin rental OR rent one of our Deluxe 18' Boats. Pets are welcome; although “Pet Rules” apply and there is a minimal charge. Pets must be on a leash or tied when outside; you must “pick up” after them; They must be in a kennel at all times if inside cabins; please curtail their “talking”. 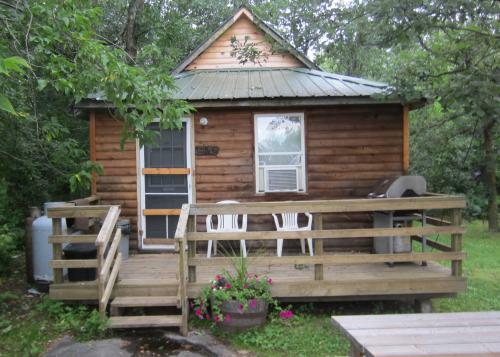 Although we realize that your pet is part of your family, the next visitors in our cabins may be allergic to pets, so we try to keep things as allergy free as we can so all of our visitors can enjoy their stay. 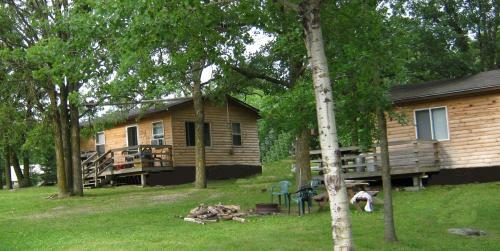 Each Lakeview Housekeeping cottage has a private deck, picnic table, firepit and wood for a nightly bonfire. 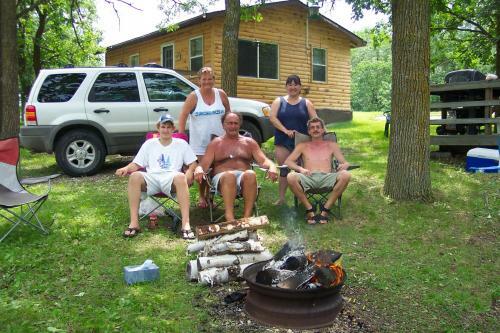 The surroundings are peaceful, relaxing, and are great for family vacations, family reunions or fishing vacations. If Hunting in Ontario is what you are interested in, Please view each section of our website under the category you are interested in: Non-Resident Deer Hunts, Archery Season Non-Resident Deer Hunting, Resident Deer Hunts, Non-Resident Bear Hunting, Resident Bear Hunts, Hunting for Ducks & Geese, or Grouse Hunting. 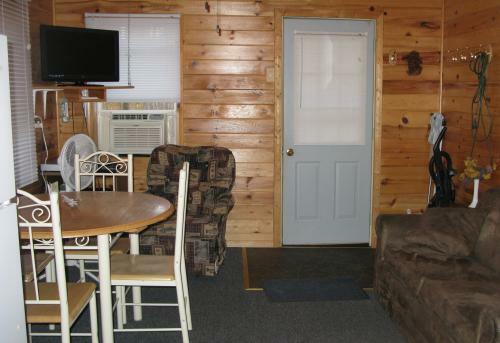 Our modern Lake of the Woods cabins have been described as top of the line by several of our insurance agents that service many resorts in NW Ontario. They are fully Housekeeping Capable with: Wireless Internet Capabilities, indoor toilets, showers, refridgerators with freezers, stoves, Wi-Fi, HD satellite TV, DVD Players, Air Conditioning, Microwaves, Crock Pots, electric coffee makers, toasters, pots & pans & frying pans, dishes, cutlery, electric or propane LP heaters, Propane LP BBQ / Gas Grills, decks, deck chairs, fire pits, picnic tables, bedding, pillows, linens & towels, hand soap, dishwashing soap, toilet paper, paper towels, salt & pepper. Tap water is from either 200' drilled well. Many choose to bring their own bottled water for drinking. 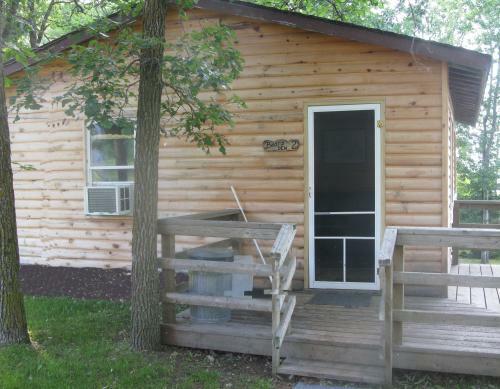 Our resort cabins have fire pits - enough wood for one bonfire a night will be provided. Extra wood or wood for daytime campfires in addition to a nightly bonfire can be purchased. AP/DN Packages include Evening Meal on day of arrival; All Meals includes Breakfast on morning of departure. There is no menu to choose from. If on a 7 night stay, one dinner is steak; other meals might include Lasagna, Roast Chicken, Beef Roast, Ham, Pork Roast, Pork Ribs, Spaghetti, "fried" Chicken, Pork Steak, etc. 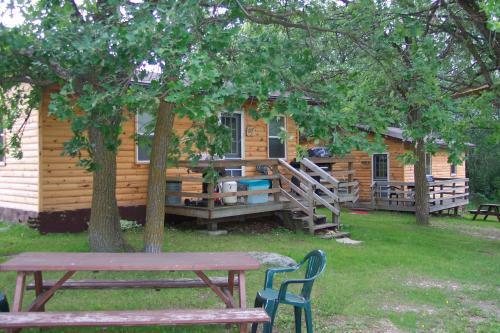 Just bring your food, snacks and beverages, your family and friends, and you are ready for an enjoyable vacation on Lake of the Woods. 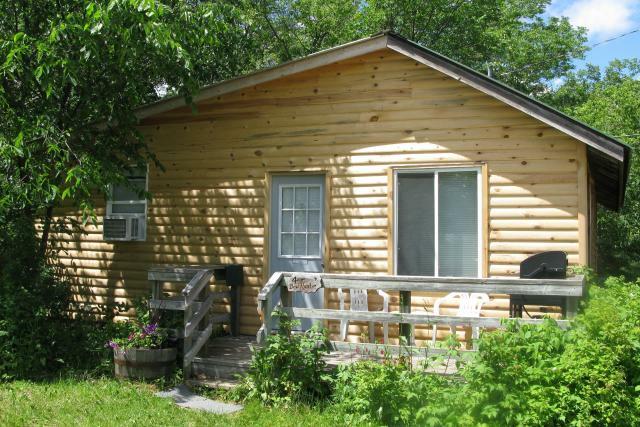 Whether you are here for family fun vacations, fishing, hunting or eco-tourism adventures, you will enjoy your stay in our comfortable accommodations - our Lodge Cabins on Lake of the Woods Ontario Canada. 1 Queen & 2 twin (bunk) beds in one bedroom; 2 twin beds in 2nd bedroom; 1 twin & 1 Double (bunk) beds in 3rd bedroom; 2 single sofa beds in front room, extra fold out single bed. 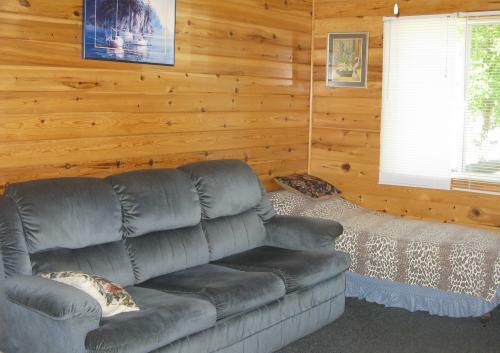 1 double & 1 twin in 1 bedroom, 1 double & 1 twin in 2nd bdrm, 1 double hide-a-bed couch that folds out in living room.